My cottage has no room for an eight foot tree so I have several small Christmas trees and this year I am adding even smaller ones, in fact, I see the start of what could possibly become a collection. Small trees should not be overlooked, grouped together they look effective and obviously take up limited space. 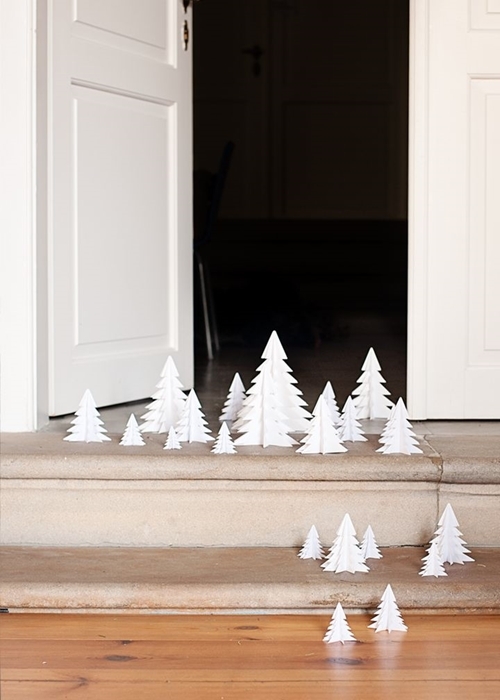 Group different size trees on a side table, coffee table or mantelpiece. 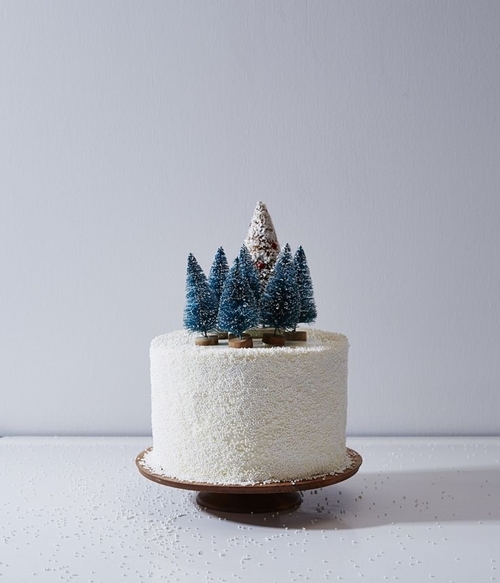 I bought two wee trees this year and I have been playing around with ideas to see how they might work with my theme of white and gold. If you want to start your own collection you could change the colour theme each year. Tip: Buy your trees and decorations in the Christmas sales for the following year as they will usually be half price. 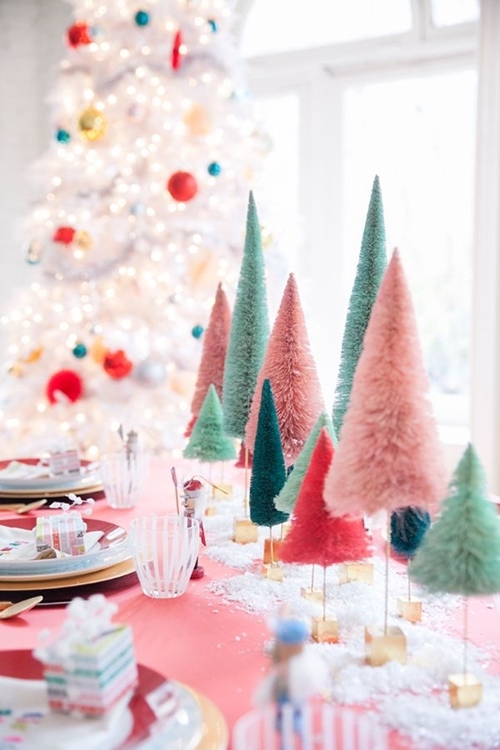 I bought these cute bottle brush trees recently from Bed Bath and Table. 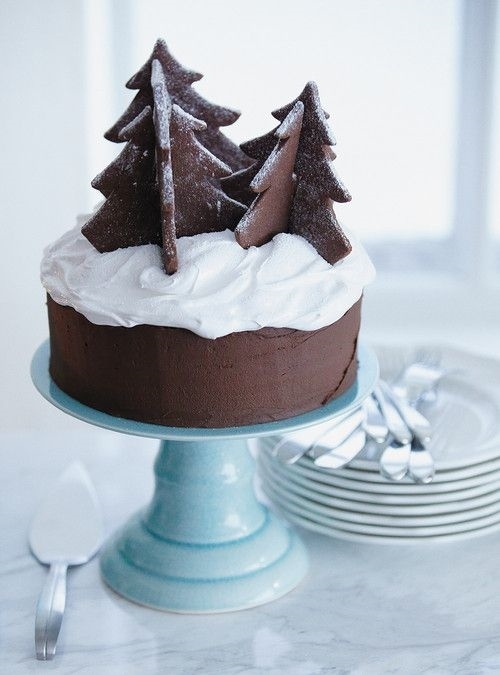 Decorating for Christmas can be fun, play around with your ideas until you think they look right. 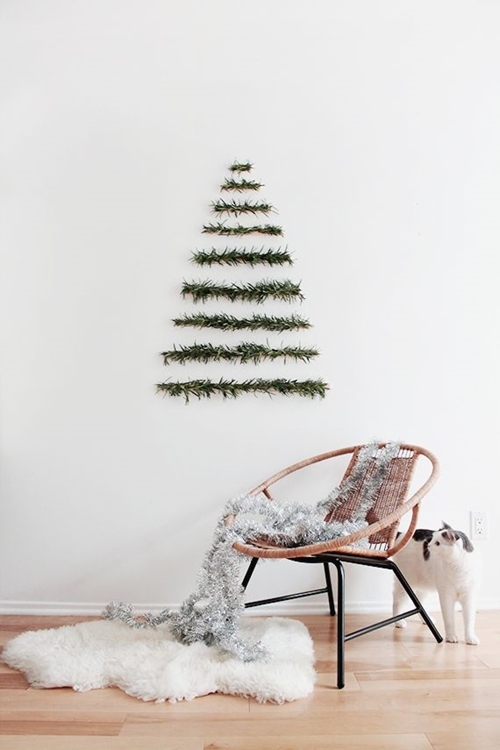 Don't just limit your Christmas decor to your living area, bring a little Christmas cheer to your bedrooms too, especially if you are having guests stay over the holidays. If you want extra inspiration you might want to get a copy of Sandra Kaminski's book, Christmas at Home which I featured on the blog last year. Sandra's book is chock full of beautiful images of decorating ideas.